House Speaker Tina Kotek and Senate President Peter Courtney announced the creation of the Joint Committee on Student Success today.The bipartisan, bicameral committee will explore the best practices employed in Oregon’s most successful schools and address the gaps that are limiting student success in other schools. Sen. Arnie Roblan (D-Coos Bay) and Rep. Barbara Smith Warner (D-Portland) will serve as co-chairs of the committee. Sen. Brian Boquist (R-Dallas) and Rep Greg Smith (R-Heppner) will serve as co-vice chairs. Kotek and Courtney said the committee is expected to develop a plan to improve student success, including a budget proposal that ensures every student in Oregon, regardless of where they go to school, will have the opportunity to achieve success. Like the successful Joint Committee on Transportation Preservation and Modernization, which developed the largest and most comprehensive transportation package in state history passed in the recent legislative session, the Joint Committee on Student Success will embark on a statewide tour following the 2018 Legislative Session. Lawmakers will hear from parents, students, teachers, administrators, school board members, business leaders, and others. 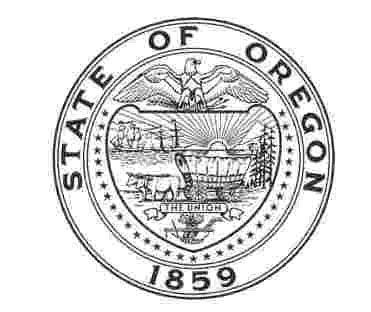 The legislative-driven strategy was developed in consultation with Governor Kate Brown, who has pledged her full support of the effort and the resources of relevant executive branch agencies. " Oregonians are united on the issue of prioritizing education. It’s time we hear from Oregonians on how to drive success for our students and our teachers in every corner of the state." Rep. Smith Warner said. "Both parties must work together to pave the way for stronger schools. It starts with reaching out to our communities to understand where we are succeeding and where we have work to do. Let this be the beginning of putting students and educators first,” Rep. Smith said. “Our schools are the heart of our local communities. Nobody cares more about the schools in Medford or Bend or Pendleton or Coos Bay than the people who live there. Oregonians helped the Legislature craft a transportation plan. Oregonians can help us find ways to improve student outcomes,” Sen. Roblan said. Senate members of the committee are Roblan, Boquist, Mark Hass (D-Beaverton), Tim Knopp (R-Bend), Kathleen Taylor (D-Portland), Alan DeBoer (R-Ashland) and Ginny Burdick (DPortland). House members of the committee are Smith Warner, Smith. Brian Clem (D-Salem), Diego Hernandez (D-Portland), Julie Fahey (D-Junction City and West Eugene), Sherrie Sprenger (R-Scio) and Carl Wilson (R-Grants Pass).